Being the massive City and Colour fan that I have always been, the anticipated release of this album was too much to handle at times. But now it’s here and it’s just as good as I had hoped. City and Colour’s previous album The Hurry and The Harm saw Dallas relocate from the big city to Nashville. Finding success in his surroundings, he retuned to Nashville to record the latest LP If I Should Go Before You at Blackbird Studios. 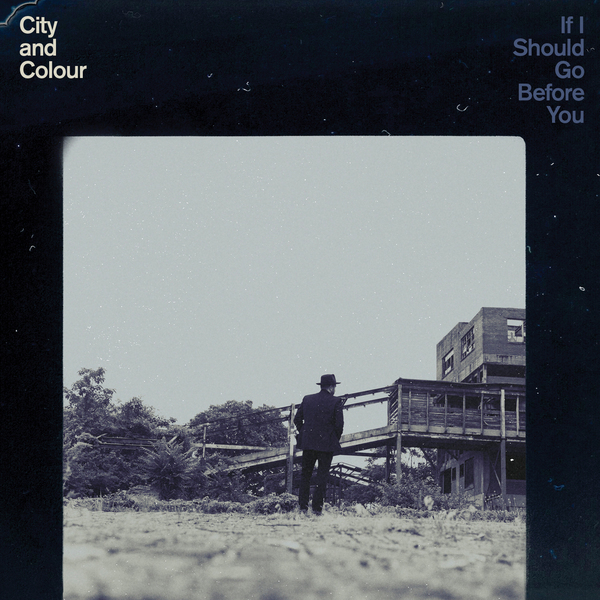 From the title of the album to the lyrical content, this is an emotional album full of the stereotypical Dallas Green workings, but with a twist. If I Should Go Before You. Even the album title puts a lump in my throat. Kicking off the album, we have Woman, a 9-minute long masterpiece and emotional roller coaster. The forceful track combines electric guitars, cavernous drums and haunting vocals from Green. The ingredients to a cocktail we could drink all evening! The song is dark and eerie, and probably the most dark and eerie within the City and Colour catalogue. From this moment on, the songs are outstanding; Northern Blues, Mizzy C, If I Should Go Before You, Killing Time… the list goes on. The first half of the album is exceptional and sets a wonderful opening for the rest of the album. Northern Blues is by far one of my favourites upon the album, with Dallas’s falsetto melting my heart like butter and the deep, pulsing groove creating a jazzy element. Mizzy C is when we hear those electric guitars come out again to create a grittier track, focusing on blues rock elements. Now, I have to talk about the title track, because with a title that emotional, it’s hard to ignore it. The track is another slow-burner whose allusive lyrics “when the night cries itself awake / dying in the light of day / our endless love will remain / until we meet again” benefit from both the jazz harmonies behind them and Green’s exquisitely sensual vocal delivery. Melancholy. Moving on to another favourite of mine, we hear Wasted Love. This track is one of the most upbeat upon the album, making it stand out completely. Kicking in the the electric guitars and forceful drums we hear “Careless love, quit pouring honey in my ear / You’re speaking diamonds crystal clear, so far away I want you near / Crying out for more, just a little more, crying on the floor, like a prisoner of war…” The song is the epitome of a love that has depleted into nothing; a wasted love. Runaway takes a bit of a country path, with the slide guitars in the background and Dallas’s vocals dancing over them makes it a wonderful song. Lover Come Back is a heartfelt song, another heartstring-puller that has Dallas’s recipe for an emotional and sensual song that you can’t deny. Map of the World is a powerful acoustic arrangement that builds upon the evocative opening lines, “there is a map of the world that lies upon my weary face / each line representing a mile that I have traveled from place to place”. Beautifully written once again, Green. Closing the album with Blood on the short 11-song album, is another display of Dallas’s beautifully delicate vocals. This combined with the effective instrumental arrangement make the whole track sound austere. Green sings “Now I know there’s beauty buried beneath, the surface of what we see / All hopes live unfound, the lie between the wish and the well”, simply stunning lyrical writing. Dallas is clearly awash with new inspiration and has absorbed it successfully, making another emotionally stunning album.